The RedburyThe Library bar extends both indoors and outdoors. 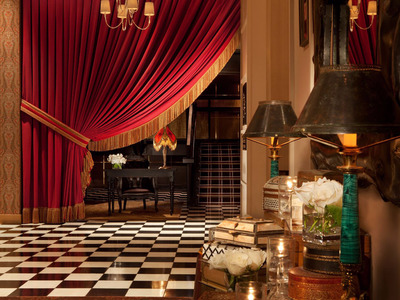 From its design to its location, the Redbury Hotel in Hollywood, California, is dripping in old-world glamour. The hotel was recently purchased from SBE by the real estate arm of Vulcan, Microsoft cofounder Paul Allen’s investment company. The purchase price was $41 million, according to the Los Angeles Times. Located at the famed intersection of Hollywood and Vine, the 57-suite hotel has opulent rooms, stunning dining and drinking options, and a cosy feel. It was designed by renowned celebrity photographer Matthew Rolston and entrepreneur Sam Nazarian. Keep scrolling to see what it’s like inside. 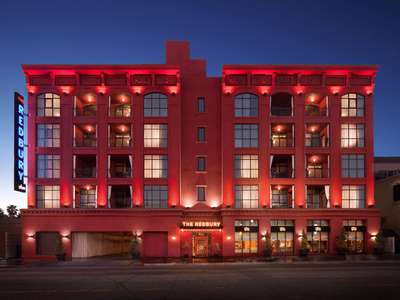 The Redbury Hotel has a prime location at the popular intersection of Hollywood and Vine in Los Angeles, California. 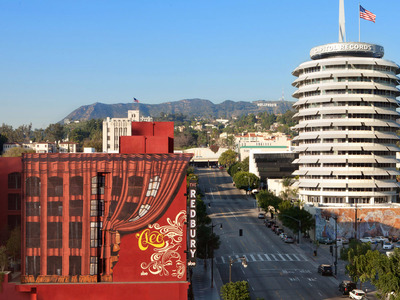 The hotel is in close proximity to some of the city's most popular sites, including the Capitol Records Building. 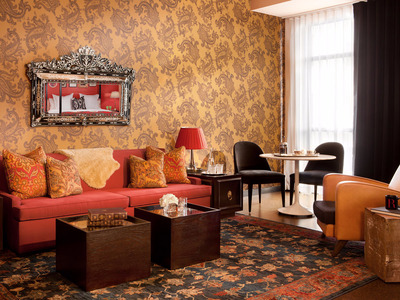 The boutique hotel is made up of 57 guest suites with a warm and inviting bohemian ambience. 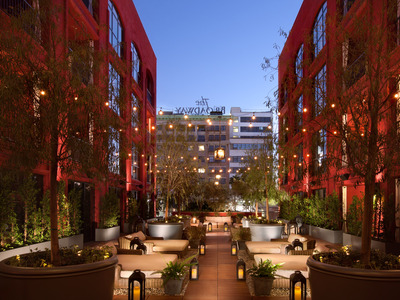 Since SBE will reportedly continue to manage the hotel, guests who stay at The Redbury have VIP access to the SBE Hospitality Collection, which includes various hotel, dining, and nightlife destinations in Los Angeles, New York, and Miami. 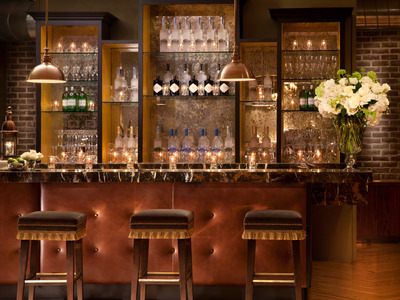 The Redbury was designed by renowned celebrity photographer Matthew Rolston in collaboration with the founder and CEO of SBE, Sam Nazarian. Each of its guest accommodations includes walk-in rain showers and a European-style kitchen with gas burners. 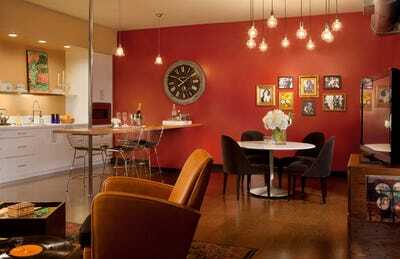 Rooms at The Redbury also have a vinyl collection and a record player, floor-to-ceiling windows, and a private patio or balcony. Pictured here is the Signature Suite, a 1,020-square-foot, two-bedroom suite with a private balcony overlooking the Walk of Fame. There's also the 750-square-foot Highland, Sunset, and Vine suites, each of which are equipped with living rooms and furnished private balconies. From the Vine Suite, guests can catch views of the Capitol Records Building, the Hollywood Sign, the Walk of Fame, and the Griffith Observatory. Guests can also stay at the Hollywood Suite, which includes 850 square feet of space and oversized walk-in rain showers. Guests have access to amenities like in-suite spa services, in-suite yoga and pilates sessions, complimentary access to 24 Hour Fitness, free BMW car service, and dry cleaning. 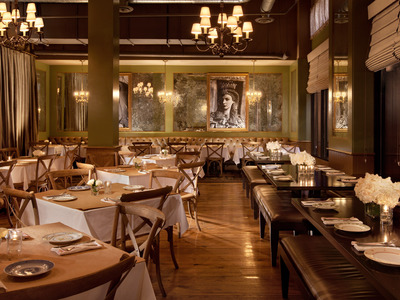 The hotel's restaurant, Cleo, features Middle Eastern cuisine prepared by chef Danny Elmaleh. Expect plenty of dishes you can share, like lamb sliders served with harissa aioli, or a flavorful Moroccan vegetable tagine. Tucked on the second floor of the hotel is The Library, an indoor and outdoor lounge offering handcrafted cocktails and selections from Cleo. 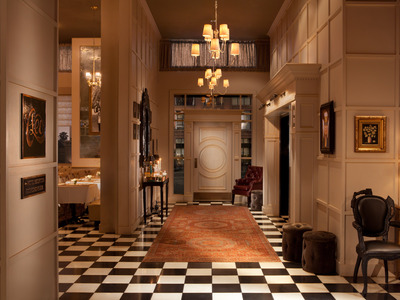 Decor includes walls lined with books, tufted leather armchairs, and billiards tables. The Library also has an outdoor courtyard that's lined with fire pits and offers top-notch views over the city. They host a social hour from 5 p.m. to 7 p.m. Tuesdays through Saturdays, when guests can enjoy discounted drinks.